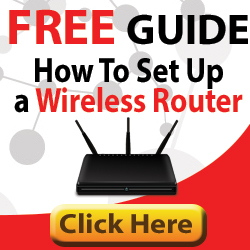 You Are Here: Home → Why Get A Wireless Router With USB 3.0? Why Get A Wireless Router With USB 3.0? So – why get a wireless router with USB 3.0? In the scenario of having a router without a USB port, users would have to connect their printer to a powered computer or laptop each time they wanted to print out pages they wanted in hard copy. For a “one person home”, this may be convenient. If your computer is always located in the room with your printer, the user can just print directly to the attached USB printer. However, in a multi-user home, this may not be so convenient. In this day and age multiple devices require access to a printer. Rather than having to copy files to a USB stick, and then plugging the stick into the computer that is attached to the printer, or perhaps sharing a printer through a computer, it’s much easier to plug a printer into a spare USB port on a router. Wireless routers are generally centralized within the home, and as the router is always powered on, it makes sense to utilize the router and attach a USB printer. The same goes for file sharing and file centralization. Rather than sharing a folder on a computer, or copying files onto USB sticks and moving around manually, it makes sense to hold data you wish to share at a centralized location that is easy to access. Again, it makes sense to use a USB port on a router. Plug in your USB storage device and share your files to everyone throughout the home. BUT, have you ever thought about bottlenecks? With Wireless AC now becoming ever more popular, users are now more demanding more from their wireless networks. HD 1080P video streaming and next generation online gaming require fast network speeds in order to work reliably. In days gone by, USB 2.0 was up to the job. With theoretical speeds of up to 400Mbps, it could handle traffic flows on older wireless networks, including 802.11n (2.4GHz) and a/b/g networks. Now that we are into the era of Gigabit per second Wireless AC (802.11ac), USB 2.0 just isn’t up to the job – certainly as far as file sharing & HD streaming is concerned. At last though, router manufacturers have started to incorporate USB 3.0 ports on their routers (sadly they didn’t when Wireless AC routers first became available). USB 3.0 is capable of theoretical speeds of up to 4Gbps. That’s up to 10 times faster than the older USB 2.0 technology. Because of this, we highly recommend going the extra mile and hunting out a router with USB 3.0, especially if you intend to stream HD over the network, or if you intend moving files around your network through the USB port. If you only intend to print via USB, then a USB 2.0 port is sufficient. In fact a lot of routers have dual USB ports, one port 3.0, the other 2.0, so you can use the slower USB 2.0 port for printing.